Do Women Have to Pay Child Support to Their Husbands? Mona, a lot of professional, successful women like yourself are surprised to discover that they may be on the line for child support payments after a divorce. Child support is far more likely to go to mothers; however, as gender norms continue to evolve in our country, so do issues related to custody and child support. According to the U.S. Census Bureau, 18.3% of custodial parents were fathers, and 31.4% of custodial fathers were awarded child support in 2013. Let’s look at some of the factors that come into play here. 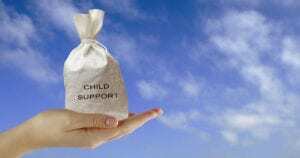 If you gain full custody of your children, then you owing him child support will be a moot point. (Though it is possible that you will owe your husband alimony.) Additionally, the greater share of custody you have, the lower amount of child support you will likely owe. If your husband receives full custody and earns significantly less than you, there is a strong likelihood that you will owe him child support. Again, if you have full custody of your children, then you really don’t need to worry about paying child support. However, if your husband has shared or full custody, then your income will come into play when calculating how much you may owe. Some states will take a flat percentage of your income. Many others will use a formula based on the difference between your income and your spouse’s income. The more you out-earn your husband, the greater amount of child support you’ll owe! Mona, in your case, since your husband earns no income, you may be hit with a pretty big bill if he were to gain full custody of the kids. The calculation states make when determining how much child support you owe can be flexible. If, for example, your children have expensive health care needs, are attending a private school, or require special schooling, you may have to pay even more in child support so that they can receive the care they need! At the end of the day, if you really want to figure out if you’ll have to pay child support, we encourage you to work with an experienced divorce attorney. It also sounds like you and your husband are on relatively good speaking terms. Before you worry about child support, work with your spouse on a custody arrangement that you can both live with. Only once that has been worked out should you turn your attention to child support and possible spousal support as well! Want to learn more about what to expect during divorce? 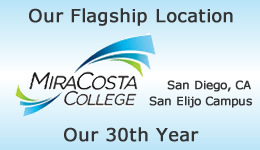 Sign up for the next Second Saturday Divorce Workshop near you!